The Center for Civic Design (CCD) is an interdisciplinary hub of designers whose focus is bringing together diverse groups around the planning, development, and design of our towns and cities. Through such service and engagement, CAP students will have invaluable immersive learning experiences. The CCD will be ground zero for educating the College of Architecture and Planning’s students in the planning, design, and development of cities through interdisciplinary and collaborative experiences alongside experts, professionals, and stakeholders. In parallel with such professional education, the Center will deliver educational outreach to the public, including K-12 students. The Center will also provide planning, development, and design assistance to the City of Indianapolis, its neighborhoods, and organizations. The Center for Civic Design will bridge divides between professional organizations, public and private interests, and professional designers and the public. 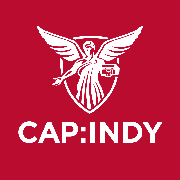 The Center will broker design-related resources by leveraging the collective efforts of the many groups, both formal and informal, focused on lifting up Indianapolis and its neighborhoods. The Center will lead by providing a voice of reason and expertise on matters of planning, development, and design. It will advocate for informed decision making while supporting public discourse on civic design.